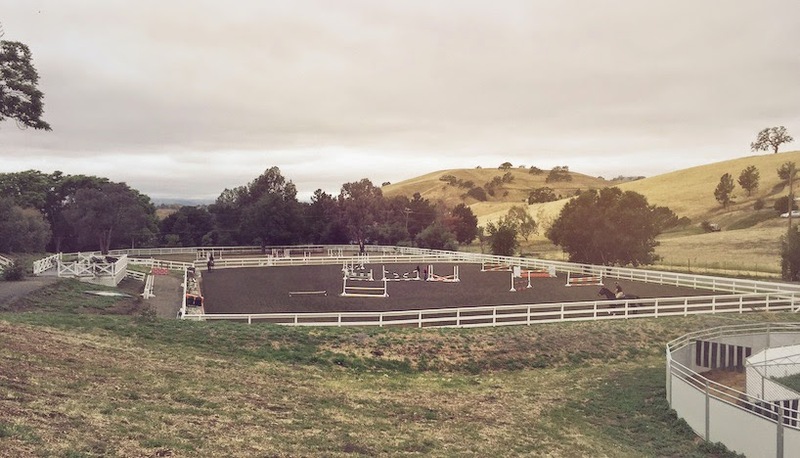 After two relatively cryptic posts, yes, Ellie and I did move barns and are now settling in as part of Westhaven Farm at the beautiful Fairmont Riding Club in Pleasanton, CA. While the move may appear abrupt to some, the decision was a long and agonizing one. I love my KMT family- they're a great group of riders and I feel so lucky to have been a part of this barn! With the majority of the team being juniors, I enjoyed the "big sis" role and being a mentor as a workin' gal making a go at horse ownership. I have a feeling they're going to have a very successful season! So why the switch right? Honestly, it's such a personal decision with so many different variables playing in. I would be lying if I didn't think to myself a few evenings this week "let's just go back 'home'." Change is hard, and sometimes it's even harder to know if it's for the better. I think that Ellie and I can be a great team and I'd like to see if trying a different style of program may help us move down that path. I have my first lesson with the new trainer on Friday and naturally I'm petrified! What if I'm terrible and she thinks I have no business riding at all... let alone a greenie? I did get word that the asst. trainer "absolutely loves Ellie," which is great. Everyone loves Ellie. Now here's hoping that Ellie and I can find that same connection! Outdoor arenas- yes there are two! Catch the Eurosizer to the right? I was wondering what was going on with those 2 posts. Good luck with your lesson! Looks fabulous! Hope you have a great first lesson and can't wait to hear about it!